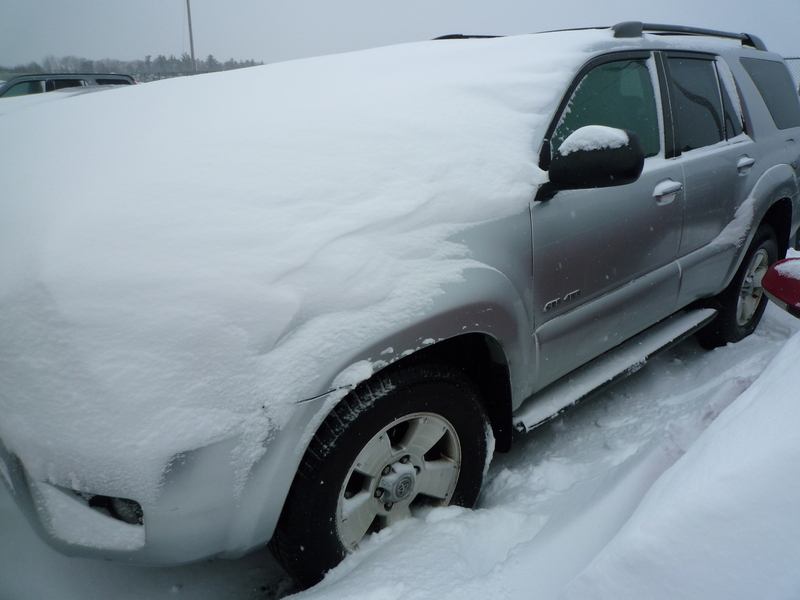 A plastic coat hanger filled in for a shovel and a mere twenty minutes later, I pulled out of the airport parking lot (thank goodness for four wheel drive). This entry was posted in Coping and tagged Digging out, life with lung cancer. Bookmark the permalink. 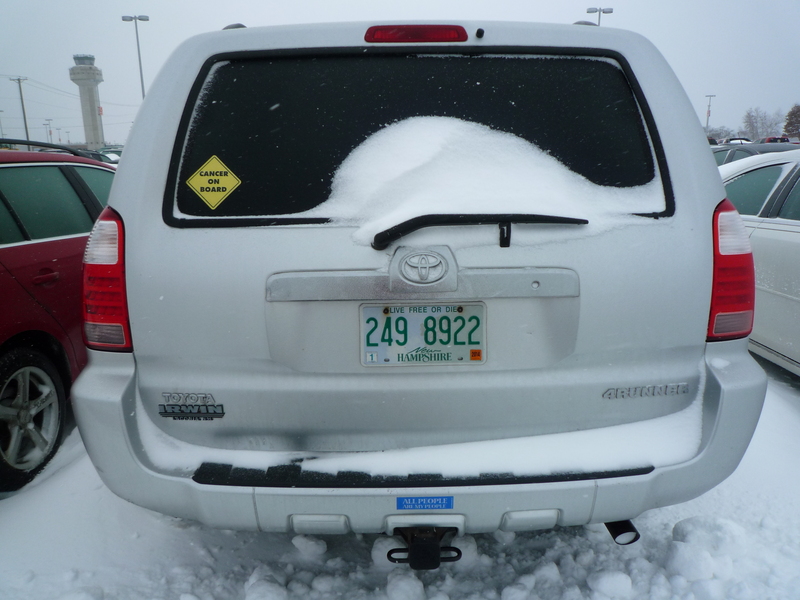 Welcome back to Western Ave.
Love the Cancer Onboard sticker…..
Sure helps me locate my car in a lot! Yikes! Good to see you and hope you can visit again soon. We’re counting the days until Christmas vacation. Sally, it was a great if too brief visit. I am wearing my comfy leopard jammies. Love to you all….